My maternal grandmother knit, but sewing was really her talent. 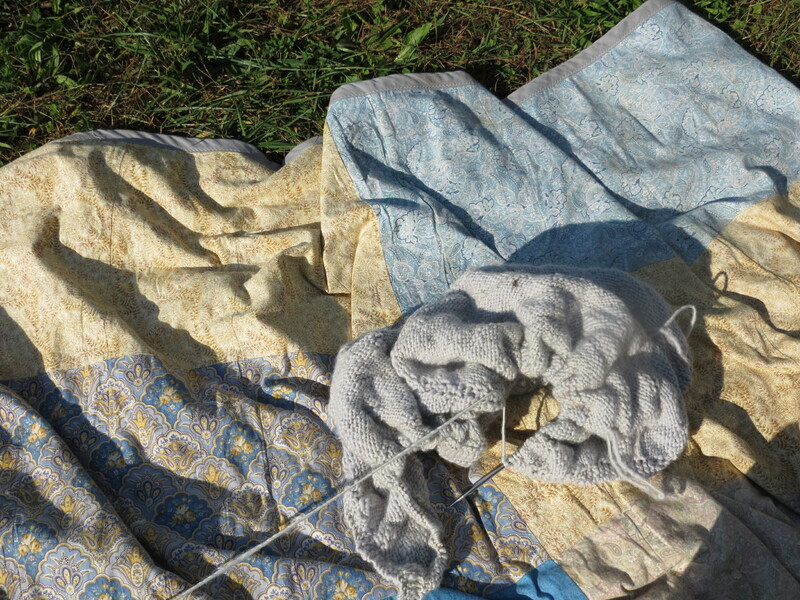 Her mother (known as Nana), though, was a knitter. It seems she was always knitting, annually turning out sweaters for all children and grandchildren. I still have clothes hangers she knit covers on, and they are the best because they are thick, sturdy, and clothes do not slip off of them. I have a small bin filled with little sweaters she knit for my mother and aunts, which my children have worn, and their children will wear. 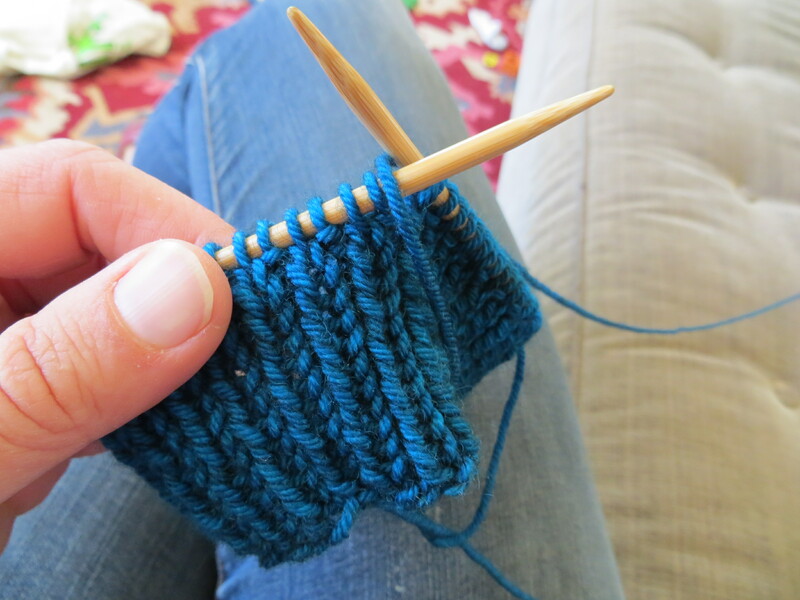 I learned to knit when I was in college – from a friend of mine. She taught me how to make hats and I never stopped. They are such easy, quick projects. I remember knitting with my grandmother during my freshman year spring break. My grandmother seemed amused, but happy, that I was knitting. And, she critiqued by technique – apparently I was a very slow knitter and if I did it the way she did, I would be faster. I could not get my fingers to work like hers, so I went back to what I could do. Over the years, I changed my way of knitting, or really of holding the yarn, to try to be more like what she did. I don’t think I am there yet! I put the craft of knitting aside for a few years when my babies seemed to grow faster than the sweaters I attempted to make for them. But, occasionally I have made my children (and myself) hats to ward off the winter chill. And, nearly every time I make a hat for one of them, it disappears within a few months, never to be seen again. This has been discouraging, but I decided recently, that my job may be to make hats every year with the expectation that they will not be around by the end of winter. Just enjoy making the hats, enjoy seeing them worn, keeping small heads warm – just for a while. So, I am getting back into knitting. I’ve started on my first hat of the winter for Evva. I also have skeins of yarn bought at the Southeastern Animal Fiber Fair set aside for Hythe and Anne. So far, I love this merino combo yarn by the The Verdant Gryphon. It is soft, not at all itchy (a bit concern for Evva), and really beautiful. But, dang! Good yarn is really expensive! 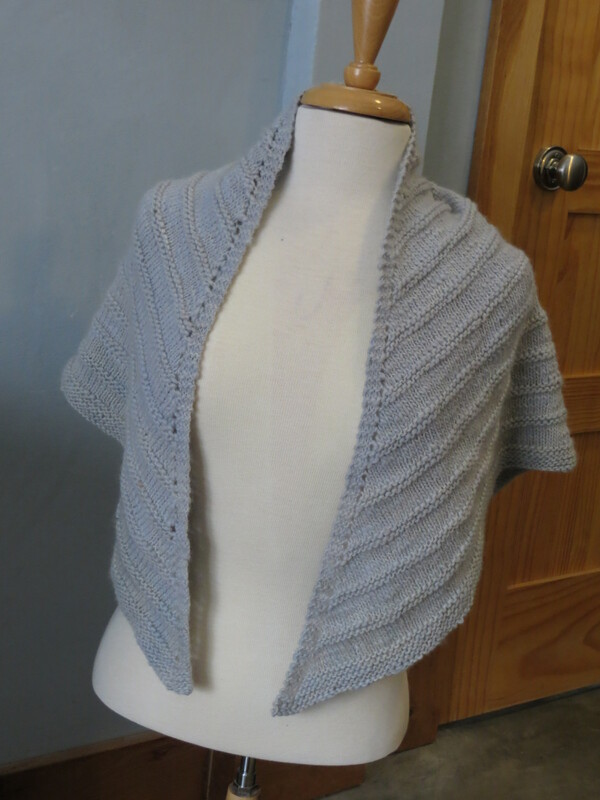 I also, recently, finished a shawl for myself. I have never had a shawl, feeling that it was too old-lady-like. 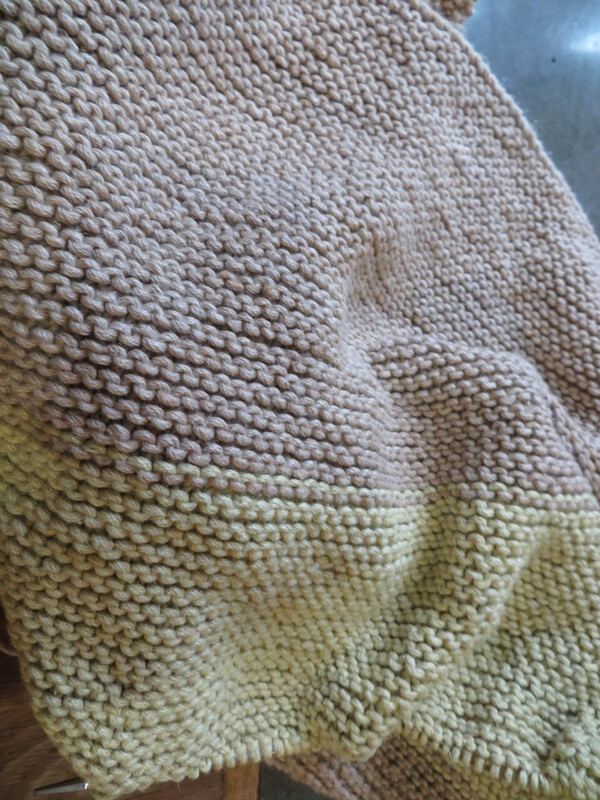 But, I really liked this pattern, got a bunch of nice yarn for very cheap and decided to try it. I like it and I’ve even worn it once already. My other knitting project is a lap blanket for our couch. Made from 16 skeins of linen/cotton blend, 12 of which I dyed with natural dyes. I am only only on color 2 right now (6 skeins in), so I’ve a ways to go. So, for you knitters out there: I would like to make a sweater for myself. What nice, natural fiber yarns (brands, etc.) can I use that won’t cost a fortune? My mother in law had bins of mostly acrylic yarns in most colors which are now in my attic. I would be happy to give them to you if you would like them.